In response to the humanitarian crisis among the internally displaced persons in North East, Nigeria, writers from different beats – Health, Judiciary, Human Rights and Life and key United Nations agencies held a parley to ameliorate their sufferings. 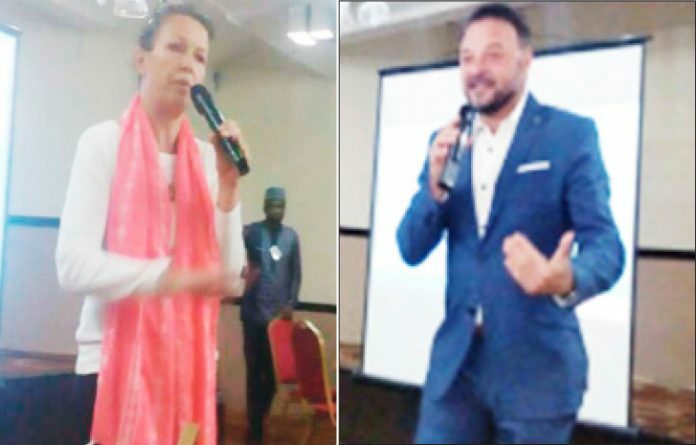 They observed that humanitarian interventions in reconstructing the devastations in NE Nigeria, will require a whooping one billion dollars in 2018, UN Office for the Coordination of Humanitarian Affairs (UNOCHA, Nigeria) has said. The fund is needed to meet some of the needs of about 6.1 million people of 7.7 million in dire need of humanitarian response in the region. Samantha Newport, Head of Communications OCHA, in her presentation, noted that nine years of conflict in the NE have caused a humanitarian crisis of massive proportions. “Hence, in 2016, the Government of Nigeria asked for international support; and by 2017, 14 million people in the North East had needed life-saving assistance in Borno, Adamawa, Yobe, Bauchi, Taraba and Gombe”, said, Newport. However, Jubril Shittu, said; “continued insecurity prevents us from reaching 900,000 people. We do not have access to them. The situation keeps changing, people keep moving and it’s difficult to plan ahead. Habib Kori, UNFPA Media Specialist, was worried over how her agency would realise maximum needs to protect the dignity of women in IDP camps from environmental violence. The health life threatening situation of the displaced persons in the NE needs urgent and optimal support, Jorge Martinez, Health Sector Coordinator, MoH/WHO noted. According to Martinez, “more than 50 per cent of the health facilities in the NE are still damaged or non-functional. “There is a very strong need to strengthen Surveillance in the health sector response especially in Trauma and Primary Healthcare, severe and acute malnutrition (SAM), epidemic prone diseases such as Polio, malaria, measles, acute water diarrhoea among others,” Martinez said. The Health sector coordinator disclosed that the WHO would need $109.5 million in funding in 2018 to meet the health requirements of 5,123,196 displaced persons out of the 7,884,933 million who actually need help.